Our happy Groomers await your call! Bring your precious pals on over to get pampered like me! 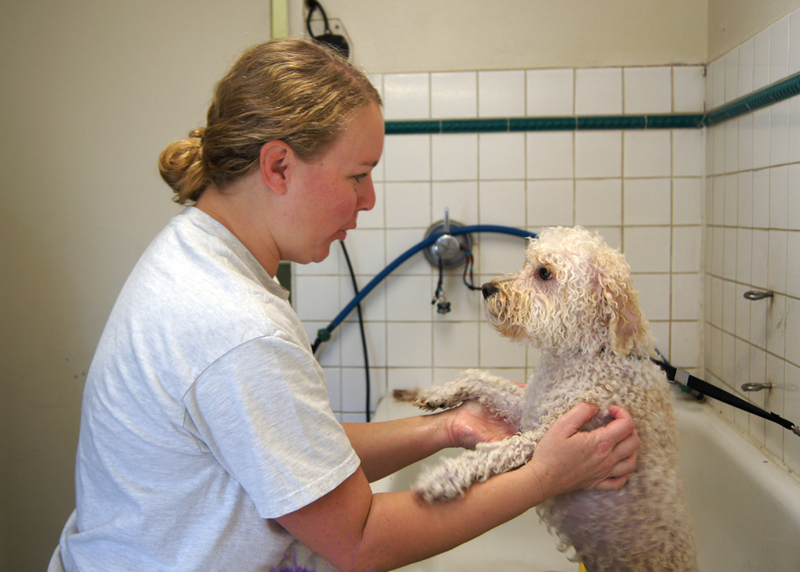 Our bathing is done using a system called HydroSurge®. 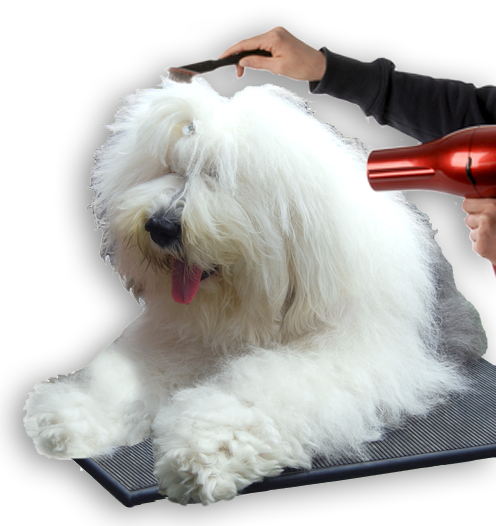 This amazing tool delivers a very thorough cleaning while providing pets with an invigorating and comforting massage that keeps them calm and relaxed. Our shampoos are made for the Mar Mel Inn from the finest organic ingredients by All Natural Solutions. These quality products give a beautiful luster to the coat and a light, fresh fragrance. All baths include nail trim, ears cleaned, glands expressed, blow dry and a thorough brushing. We welcome all breeds, large and small. Dematting is an additional charge. 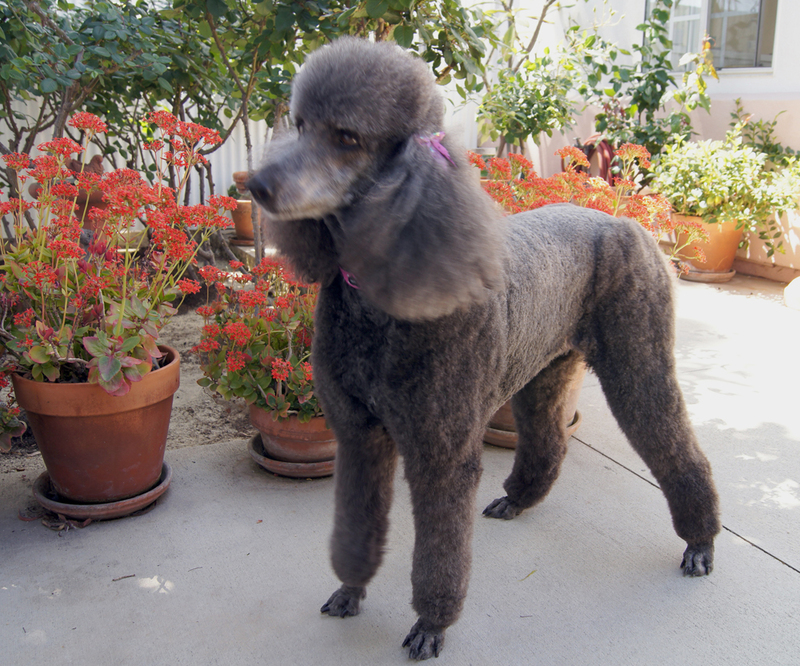 Please call to speak with one of our gentle and experienced groomers about your pet's particular needs. OPEN 7 DAYS A WEEK | Office hours 8:00am–5:30pm | Owner pick up or drop off and visting hours: morning 8:00–10:00am | afternoon 4:00–5:30pm | Owner visits are limited during the day to provide a peaceful atmosphere for our guests | Closed only 4 days a year: July Fourth, Thanksgiving, Christmas, and New Years Day.